Born in 1882, in the city of Linxi, in the Guanzhou province, Shifu Yim Sheung Mo at the age of 35 was already a respected and well known Hung Gar master. At about this time destiny would make the two masters cross the same path in an unusual situation. A common practice in those days, Yim Sheung Mo heard of the reputation of a young master from the North and decided to challenge Shifu Ku Yu Cheung to a friendly combat. Yim Sheung Mo made several attempts to kick and punch Ku Yu Cheung, which he defended using only one of his hands. When counter attacking Shifu Ku Yu Cheung touched Yim Sheung Mo’s body at will and Yim Sheung Mo was not able to defend himself or avoid the attacks. Noticing he was facing a superior adversary, Yim Sheung Mo apologized, abandoned his style and became a disciple of Shifu Ku Yu Cheung. Becoming one of the three heirs to the skills and knowledge of Shifu Ku Yu Cheung, Yim Sheung Mo had the opportunity to learn other styles, due to his professor’s reputation. He learned Choy Li Fat Bak Sing with Tam Sam, Luo Hap and Chi Yi Mun with Mong Lai Sin. On the advice of Shifu Ku Yu Cheung, Yim Sheung Mo moved to Hong Kong in 1952, because of the political instability of China. There he was taken in by the Chan family, where he began teaching classes. His reputation rapidly increased and he soon became a well known master in Hong Kong. Famous for his martial arts abilities, Yim Sheung Mo was also the main character in several curious stories. One of them tells that, at a restaurant, Yim Sheung Mo perforated a porcelain cup with his index finger without moving it. His nickname was Yim “Iron-Head”. Once, while visiting old Hung Gar colleagues, Yim Sheung Mo was introduced to new students in a jesting manner as “the Hung Gar master who had turned a Northern Shaolin student”; when the visit was over, he said good-bye to all, opened a hole in the wall with his head and left. Yim Sheung Mo had many students in Hong Kong, and left some representatives of his teachings throughout the world. Chan Ming Ling, Choy Ning, Au Wing I, Wong Jack Man, Kwok Wing Lam and many others were some of his pupils, but the one that stood out and became the heir of all his skills and knowledge was Master Chan Kowk Wai. 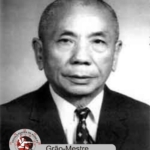 Yim Sheung Mo dedicated his entire life to the teaching of Chinese Martial Arts and gave classes until the last day of his life. He died in 1971, in Hong Kong. 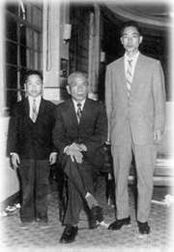 Master Ku Yu Cheung taught Shifu Yim Sheung Mo and he taught Shifu Wong Jack Man who taught Shifu Kam Yuen & Rick Wing who teaches Shifu Marquez.